Before we begin, I’d just like to mention that this article marks the 100th post for my website which has blossomed much faster than I could have envisioned. So enjoy the interview, please keep visiting my site, and most important, grazie and salute! Today we have the pleasure of speaking with Giacomo Bartolommei, the Winemaker for the Caprili Estate in Montalcino, Tuscany. Along with their Brunello di Montalcino, Caprili produces a Brunello Riserva and a Rosso di Montalcino. Giacomo, thank you very much for taking the time to be with us today. Thank you, my pleasure, really! Perhaps we can begin with some background? The Caprili Estate has been in your family since 1965, when your grandfather Alfo, founded the estate, correct? How long have you been winemaker for the estate and what was the first vintage you produced? I like to say that I represent the 4th generation of Bartolommei, because the Caprili estate was founded by my great-grandfather Alberto Bartolommei along with his son, Alfo who is my grandfather. But it was Alfo who started to plant the vineyards in 1965 including “Vigna Madre” which is still productive today. In 1965 we began producing table wine which was sold locally in bulk or consumed by our family. It wasn’t until 1978 that we started bottling wine commercially. In 1997, Alfo’s children Manuele, (my father) Paolo and Paola took charge of the estate. For me personally, it’s only my second year working “officially” on the family estate after finishing my studies in Viticulture and Winemaking – so actually my first vintage of Brunello will be the 2010 Brunello. That being said, for many years I have helped my family on the estate during the summer holidays in the vineyards or in the cellar. But it’s only two years that I’ve been regularly working on the estate. We hear so much about great wines being made in the vineyard and that in the cellar, the winemaker is only a “custodian”. That he should be a minimalist, not an interventionist. What do you think of that? It’s not a matter of being an interventionist or minimalist but the wines are born from the grapes and the vineyard, not created in the cellar. In the cellar we have to work in order to preserve the quality of the grapes. Our estate vinifies exclusively, grapes produced in our vineyards. The entire family supervises the work in the vineyards from the pruning to the picking and we manage the process in the cellar ourselves. 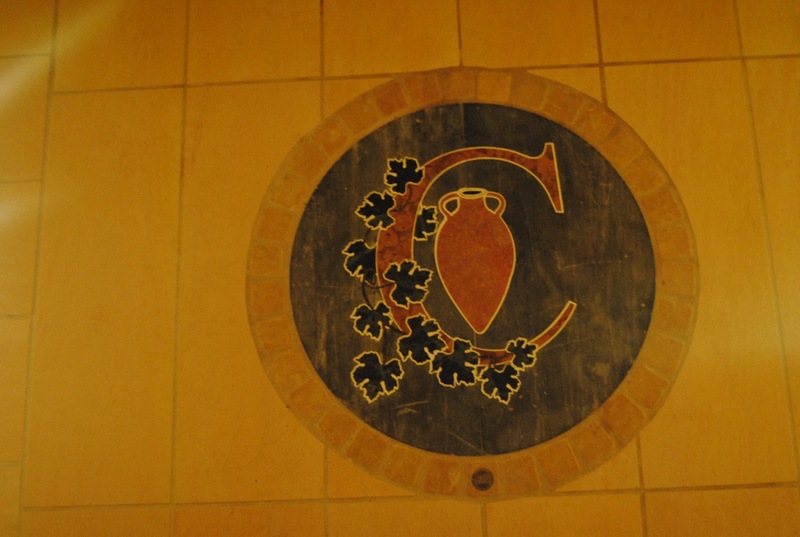 In 2006, Caprili undertook major renovations to their cellars. What exactly did you do and how do you feel it has benefited your production? What was the first vintage that was impacted by the improvements? In 2006 we restructured the cellar. The major reason was to give a more rational organization to it. Our cellar was having lots of expansions over the years due to the new vineyards being planted and also due to the large quantity of wine to stock in the cellar. The major benefits were the purchase of new barrels for the ageing room that have given a new structure to the wine (the old ones were 30 years old!) and a new bright line to our wine while still maintaining our style. The first vintage involved with the new benefits was the 2004 Brunello. ﻿﻿Wine lovers have been debating constantly about the merits of new oak vs. used oak, large botte, or small barrique. What is your stylistic trademark regarding oak influence in your wines? And do you think Sangiovese needs or benefits from extended oak aging? In my estate the choice is to use big barrels from 30 HL to 60 HL. We think that the oak helps in the maturation of the wine. The maturation pre-supposes that the wine will have the base characteristics in order to evolve, to grow up. This process occurs more slowly in the bigger barrels because the process of oxidation and reduction is longer compared to a barrique. In my opinion, I suppose that the Sangiovese grape evolves better with longer time of ageing in the barrel both to allow for the tannins in the wine to soften and to give greater stability to the coloring matter. So a correct use of oak helps the wine to grow better in the long term; the abuse of oak (excess oak or old oak) it’s wrong. Castello Banfi recently published a major study culminating 30 years of soil classification, clonal research, and wood ageing. Do you think this has been well received in Montalcino? Has Caprili benefitted from Castello Banfi’s research? Yes, I know that research. Honestly I don’t know how many other producers know of it but the soil classification and the clonal research is important. This too was always a hallmark of my family. The rootstocks that we planted years ago were selected by my grandfather first and then by my father; from clones present in our vineyard planted in 1965 by my great-grandfather Alberto. My grandfather and my father have selected, along with the professor Ms. Vignani Rita of the University of Siena, the plants that in time have given really outstanding results regarding quantity, quality and disease resistence. We have also conducted research on them and that research grows every year; especially with Vigna Madre. In this day and age, almost every winery produces some form of “Super Tuscan”. It is interesting to note that Caprili produces only Brunello and Rosso di Montalcino for red wines. Has there been any thought to producing a “Super Tuscan” wine? I believe that Montalcino’s soil (not entirely but for the major part) is really suited for the production of a great Sangiovese, so for me at Montalcino the “SuperTuscan” is the Brunello. Bravo! It’s refreshing to see dedication like that to Sangiovese and commitment to Brunello. You have seven single vineyards on your estate dedicated to the production of Brunello. As you’ve mentioned, one is your “Madre” vineyard, the oldest vineyard on the estate and it’s that vineyard that provides the grapes for your Brunello Riserva. Have you considered releasing a Brunello from one of the other single vineyards which is not a Riserva? We don’t have, at the moment, the idea of making a Single Vineyard Brunello because we’re already making a selection with the Riserva that comes from the oldest vineyard on the estate: Vigna Madre. Recently there have been a string of outstanding vintages for Brunello: 2004, 2006, 2007, and now 2010. Regarding 2006 and 2007, do you have a preference? And stylistically, how do you think they are different? What sets them apart? How are the 2010’s coming along in barrel? They are magnificent! It’s really difficult to remember a row of vintages like these. 2006 started with a wet climate in winter and spring, then it was hotter in July and then August temperatures lower than average allowed an optimal and gradual maturation of the grapes. The second half of September we had some rainfalls but they didn’t influence the quality of the grapes that we picked. 2007 was a vintage hotter than 2006 but without reaching the dramatic temperatures seen during the 2003 vintage. The rainfall in 2007 was concentrated in the period between the end of May and the beginning of June. These temperature changes led the wines to keep good acidity levels and to develop the desired aromatic substances. Thanks to this we have wines that are really soft, silky, and open that can be appreciated from an early age. Then we have the 2010, another really great vintage. The aromatic profile is really similar to the 2006, but the delay of the beginning of budding due to the lower spring temperatures led to a delay in the ripening of about one week. This gave us excellent wines rich in polyphenols and anthocyanins and the evolution in the barrel is confirming that. At a recent sample tasting, the gradual capacity of refinement is similar to the wines of great vintages. Overall, I don’t have any preferences for them. For me the only important thing is that a wine must show its personality and its recognition of the terroir from which it belongs. Every vintage is always born with different characteristics and is unique and recognizable. So then what sort of traits, what characteristics, from the Caprili terroir are present in your Brunello? Our soils are naturally rich in stones and silica. This comes through very well in our Brunello. There is always present, a minerality that comes through from the soils. Recently the Gambero Rosso Magazine awarded your 2006 Brunello with their highest praise, the “Tre Bicchieri”. How did that feel? “TreBicchieri” is an award really important for a wine. We have been honored two times with this award. Seeing the fruits of our work recognized with these awards can only add great satisfaction in what you do. I notice you’re on Twitter a lot. What role do you think social media is playing in Caprili’s development? Do you think it’s necessary to grow the brand? I was born in 1991 and my generation is called the “Playstation generation” and the following generation is called the “Facebook generation”. The social networks are an invention that have changed forever our way of relating with people. I believe that they are an important instrument, but not the only instrument. Most wine lovers that cannot reach our estate or that we cannot receive on the estate can be virtually in touch and know much more about us now. I believe that direct contact remains really important, but today we have the big opportunity to know people much faster, so why not use it?!? I could not agree more. Like wine, technology can enhance, but should never replace tradition. So finally, when you relax after a long day working on the estate, what wine do you choose to uncork? Or is it a Moretti? I like this question! I never drink alone, but when I relax along with my family or even my friends in front of a well cooked dish, I usually drink Barolo or Amarone or even Franciacorta, if I am having fish. But for sure I drink Brunello in front of a steak! That sounds like a great pairing to me as well – Bistecca Fiorentina, yes? Yes! I cannot wait to taste your 2006 Brunello and I will eagerly await the release of the 2010. Look for tasting notes upcoming on the 2006 in a future posting. John, congratulations on your 100th post! You are definitely a cut above. I'm so glad that Claire and Bill pointed me to your blog; one of the few I visit almost everyday. PS: just got home from work and haven't had a moment to digest the interview, but I will. Wow, that was a beautiful interview John. He's 21 years old, and says: "It’s not a matter of being an interventionist or minimalist but the wines are born from the grapes and the vineyard, not created in the cellar." I have to say, I was surprised to learn that Giacomo was only 21. He definitely has a much more mature air about him – but clearly he's grown up on that estate and in the family business. So I'm sure his experience outweighs his years. Like Canadians that are born on skates, he was probably crushing grapes before he could walk. I've not had the pleasure of their Brunello, but did recently acquire some. I had to search a bit, but I found it. Had never seen it locally. So I hope to try one this weekend with a nice big steak. Simple things.